Will Samsung Galaxy S4 Use Own Exynos Processor or Qualcomm Snapdragon 600? Which one is better? What are the differences? 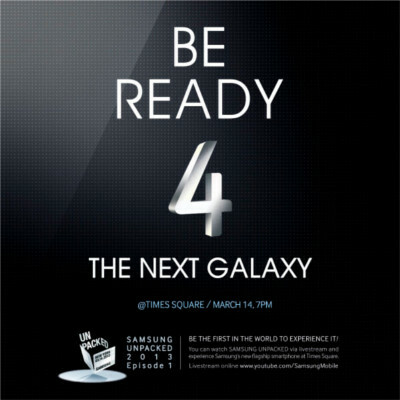 We have to wait for the official specifications until March 14 in the Samsung Unpack 2013 event in New York. The rumored specifications of Galaxy S4 have two versions on processor (chip). One version says Samsung ‘s own Exynos 5 Octa (5450) will be used; while other one says Samsung may use Qualcomm Snapdragon 600. The logic question is which one is better, or what the differences are. In the Galaxy S4 rumored specifications, I told you guys my bet is on Exynos 5 Octa. I will tell you my reasoning later in this post. So first let’s compare Exynos 5 Octa and Qualcomm Snapdragon 600. 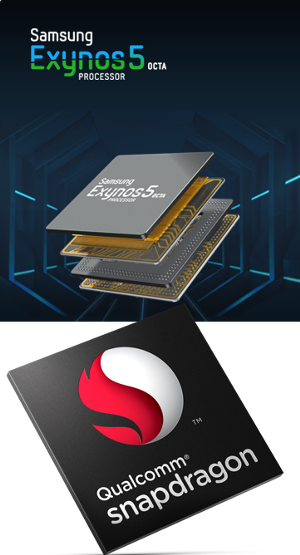 Both Exynos 5 Octa and Snapdragon 600 were announced this year. Most high-end smartphones and tablet will use one of them this year. Snapdragon 600 already got customers lining up: HTC (HTC One) , ASUS (Padafone Infinity), LG (Optimus G Pro) and ZTE (Grand Memo). Both processors are based on ARM Cortex A-15, and share the identical instruction set (ARM v7). This is the latest version of ARM technology in the market. Although there are no any official words on Samsung’s next flagship smartphone, Galaxy S4 (or SIV), the specifications haven been rumored for quite long time. It is very likely Samsung will announce this product as early as in March, but more likely in April/May following S3’s launching cycle. Display: 5 inch, edge-to-edge, 1920*1080 (full HD,441ppi ) Super AMOLED. 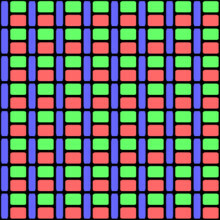 There are some rumors saying SoLux Display will be used. This is unlikely. CPU: Exynos Octa 5450 A-15 (8-core: 4 A15 cores; 4 A7 cores) with Mali-T678 GPU (8-core). There are rumoring saying Qualcomm Snapdragon 600 (1.9GHz, APQ8064T, quad-core) will be used due to heating issues in Exynos Octa. This is possible. But as an Asian company, Samsung will probably still try to use own chips with more aggressive thermal management. RAM: 2GB. This is standard for high-end Android handset. Anyway, nothing is confirmed yet. Essentially, this will direct lycompete against HTC One, and LG Optimus G Pro. We will post some comparisons later. 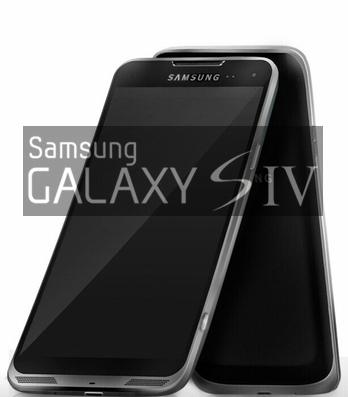 Update 15/03/2013 : Here are the official specifications of Galaxy S4! !